Ethnically-charged Demonstrations Continue to Flare in Takhar | . :: Elections 2014 ::. For three days demonstrations have surged in northeastern Takhar province in reaction to the dismissal of provincial Police Chief, Khair Mohammad Timoor, more than a month ago. The demonstrators', who are for the most part ethnically Uzbek, claimed grievance over the replacement of the former Uzbek Police Chief by a new Tajik one in what they said is an already Tajik-dominated provincial government. The demonstrators, who blocked the Takhar-Badakhshan and Takhar-Kundoz highways all morning and into the early afternoon today, demanded the dismissal of the new government-appointed Police Chief, Haji Aqa Gul Qataghani. "We want the Police Chief and Governor to be dismissed. They are both from the same ethnicity," said a resident of Takhar province who had participated in the demonstrations. Officials from the Ministry of the Interior have assured that they will not allow any groups to turn the demonstrations into a more destructive form of unrest. "The national police are ready to prevent any illegal activities. We ask all the tribal elders and leaders to not lose control of the people's energy and make their demands known legally," said Sediq Sediqi, a spokesman of the Ministry of the Interior. One such group that has fueled the demonstrations is the National Islamic Movement of Afghanistan, which has implored the government to consider the protesters demands. According to reports, the new Police Chief of Takhar belongs to the Jamiat-e-Islami Party – a traditionally Tajik oriented political party. But as of now the Party has distanced itself from the controversy, saying that they refuse to intervene in any selections of local officials in the province. "The Jamiat-e-Islamic did not interfere in the selection of local officials in the province. Anyone who was selected as Police Chief did not become so because of us. This relates to security organizations," said Abdul Satar Murad, an advisor of Jamiat-e-Islami. However, a spokesman for the governor of Takhar province explained that ethnicity is a factor considered in the selection of officials. Though how much it played a role in the Police Chief swap under focus in the current unrest is unclear. Meanwhile, it is said that the demonstrations have caused serious disruption in the province, causing medical patients traveling for care to be delayed and lose their lives as well as shutting down local business. "The tensions should end. We cannot keep our shops closed. We poor people need food," said one Takhar resident whose local business has suffered since the start of the demonstrations. The provincial Governor has discussed blocking the continuation of the demonstrations. 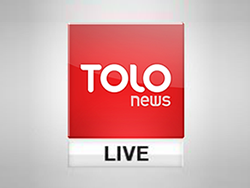 After one month of since Timoor was dismissed, ethnic tension and civil unrest has engulfed much of the Takhar province. Without a sure end in sight, the tense situation has begun to take its toll on the province, surfacing deep ethno-political divisions that none seem eager to compromise over.